Cruising can be a great way to see some of America’s National Parks! Alaska itself has 24 National Park Sites and is arguably one of the most sought after cruise destinations in the world. Seattle typically marks the beginning and/or end of an Alaska Cruise with Washington providing yet another 15 National Park sites! Some of the longer voyages start out of San Francisco California who also boasts 28 National Parks sites! 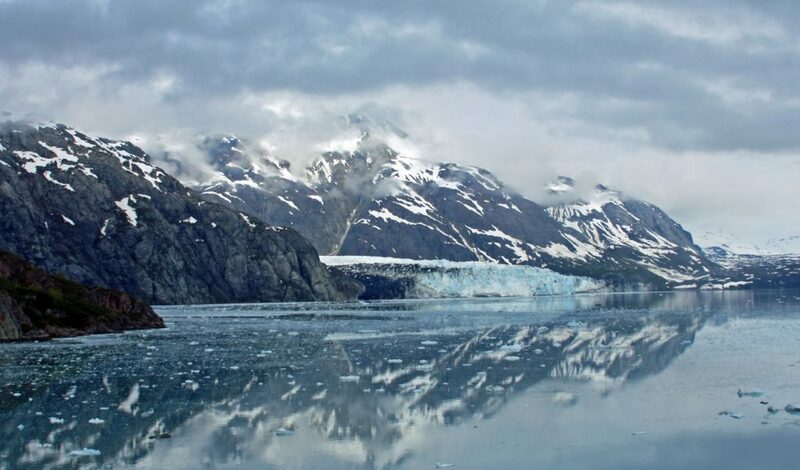 This makes an Alaska cruise an Epic adventure for any National Parks lover. Cruising to America’s National Parks- Alaska Ports of Call is the third installment in our Cruising to America’s National Parks series. Make sure and also check out Cruising to America’s National Parks – Caribbean Ports of Call and Cruising to America’s National Parks – Hawaii Ports of Calls for more ideas on cruises to take. There are several cruise options from Seattle. You can take a seven-day roundtrip inside passage cruise that typically visits Juneau, AK, Skagway, AK., Ketchikan, AK. And Victoria B.C. They also have a scenic cruising day for either Glacier Bay National Park or Tracy Arm Fjord. There are also Seven-day voyages that either travel Northbound or Southbound with South end ports being either Seattle, San Francisco, or Vancouver BC and the North end ports being Seward, AK or Whittier, AK for Anchorage. Olympic National Park is one of the prettiest sights you will ever take in. 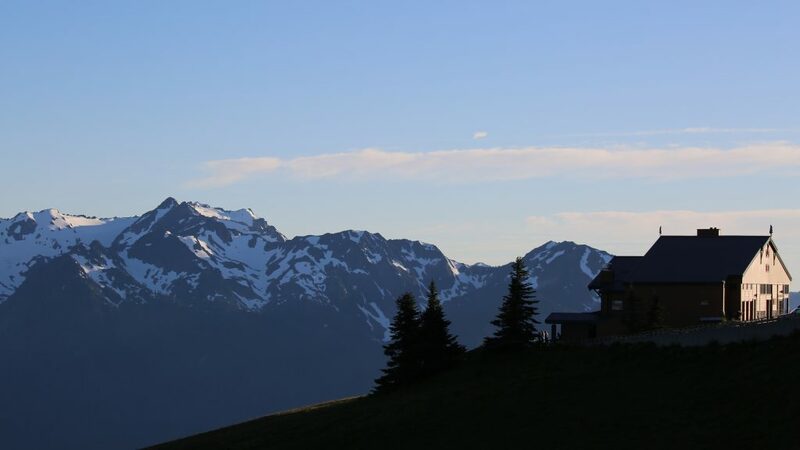 It doesn’t matter if you are standing on Hurricane Ridge starring out at snow-capped mountain peaks, walking through the Hoh Rainforest, trying to see how far you can reach your arms around the Giant Spruce Tree or walking the ocean beach you will be taking home a lifetime of memories! Mount Rainier National Park demands your attention, especially on that rare nice sunny day. It is easily seen all over Western Washington including Seattle. The views from the mountain are epic too! My advice is to take the skyline trail where on a sunny day you can see Mount St. Helens, Mount Adams, and Mount Hood at the same time! Don’t forget about the wildflowers too! They tend to be in bloom around June depending on the weather and the snowfall. North Cascades National Park borders Canada and has one of the most scenic drives in the National Parks system. Highway 20 (Open Seasonally due to the amount of snowfall) has breathtaking views of the mountains. Stopping to see Diablo Lake and Ross Lake is a must along with lacing up your boots and exploring its pristine wilderness! Klondike Gold Rush National Historic Site- Seattle Unit is located in downtown Seattle and tells the story of Seattle’s role of the stampede to the Yukon Gold Fields! Wing Luke Museum Affiliated Area (Seattle) is your opportunity to understand what it is/was to be an Asian American in the Pacific Northwest. Glacier Bay National Park is mostly seen by cruise ship visitors. This is mostly due to its remoteness and lack of services anywhere near this gem. The best part is that a Park Naturalist often board the cruise ship and sets up a pop-up visitor center available for cruise ship guests. They also assist in spotting wildlife and explaining Glacier Bay. Juneau is the capital of Alaska. It is also only accessible by boat or plane as there are no roads leading out. It is also where I experienced a Duck Fart for the first time at the Red Dog Saloon, a true Alaskan experience! Mendenhall Glacier is actually part of the Tongass National Forest. Although not part of the National Parks System, it is still very enjoyable for anyone who loves the outdoors with its views of the Mendenhall Glacier! It also has several Ice Caves. The one most photographed are quite challenging to reach and are on the West flank of the Glacier. 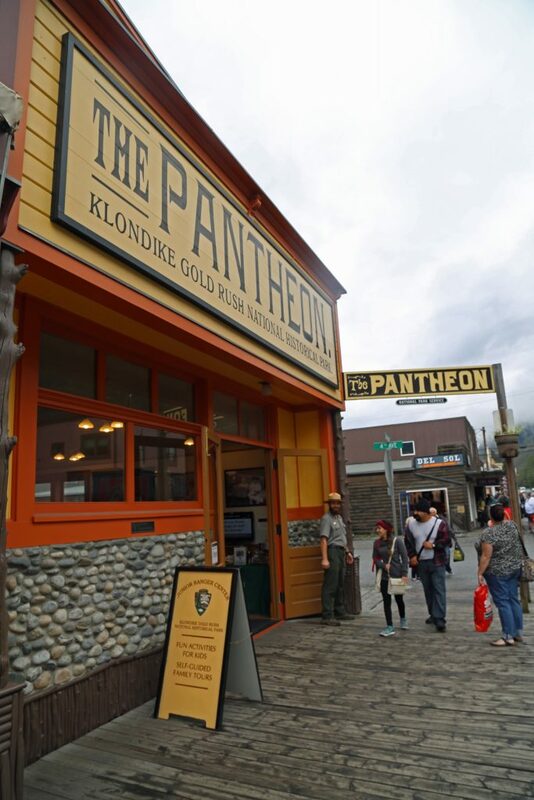 Klondike Gold Rush National Monument Alaska Unit in August of 1896 gold was found in the tributary of the Klondike River in Canada’s Yukon Territory. This set off one of the greatest gold rushes in history as gold seekers boarded ships from places like Seattle and headed to Skagway and Dyea where their journey began a 600 mile trip to the goldfields of the Klondike River. A big part of the city of Skagway is preserved as part of the park and tells all about the experiences of being in Skagway during these times. Ketchikan is known for Creek Street, and it’s Native American Totem Poles that are located throughout town. Totem Bight State Historic Park has 15 restored or replaced poles in large with help with the Civilian Conservation Corps(CCC) before World War 2 began. Misty Fjords National Monument Wilderness is actually a part of the Tongass National Forest along with Mendenhall Glacier. Its 2.2 Million acres of wilderness was set aside by President Jimmy Carter in 1978. There are two options; take a float plane and see the Misty Fjords or take an approximately 4.5-hour boat tour to get to Misty Fjords. Sitka has a population of well under 10,000 inhabitants. It also shows its Russian roots with the Russian Orthodox St. Michael’s Cathedral and the Russian Bishop’s House. Sitka National Historic Park preserves the site of a battle between invading Russian traders and indigenous Kiks. and Tlingit. Visitors should also take the parks coastal trail with totem poles from the Tlingit and Haida. Cruise ships don’t actually arrive in Anchorage; they dock in either Whittier or Seward. Both cities are a good hour from Anchorage. Luckily Kenai Fjords is in Seward! Kenai Fjords National Park is located in Seward Alaska. The Harding Icefield is Kenai Fjords crowning feature with nearly 40 glaciers flowing from it! Here you can also see the effects of climate change through its shrinking glaciers. I was shocked to see the change in eight short years! You can take a hike to the Harding Icefield or perhaps take a boat tour and hopefully see one of its many glaciers calving. 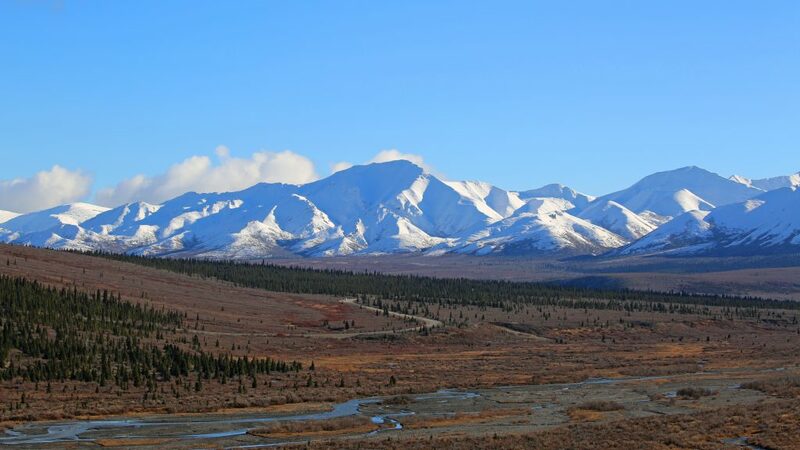 Denali National Park is one of the jewels of the National Parks System! It boasts six million acres with only a single road traveling into its interior! Cruise ship passengers doing the North to South or vice versa Alaska Cruise have the option of adding on an optional tour taking them to Denali National Park. Visitors have a great chance of seeing the Big 5 animals: moose, bear, Dall sheep, caribou, and Gray Wolves! Those lucky enough must have a keen eye and continue scanning the tundra and bush. Did you know that Denali has working sled dogs? They are vital for Denali, and you can visit the Kennels! The kennels are typically open year-round from 8am-5pm except when they are in the park (frequent in the winter). San Francisco is full of history! It also has perhaps the sexiest bridge in the world. The San Francisco Bay area alone boasts 11 National Parks sites in the immediate area with two more big National Parks only a couple hours away. Muir Woods National Monument is an unbelievable place to visit! You are literally 15 miles from downtown San Francisco, and yet you feel that you are completely in tune with nature. There is not a single building in sight, no sounds from the city, only stand of trees including the massive California Redwoods. Every city in the world should only be so lucky to have a treasure like this! Yosemite National Park is another of the National Parks Crown Jewels! Guaranteed you will never forget the first time you look into the Yosemite Valley. 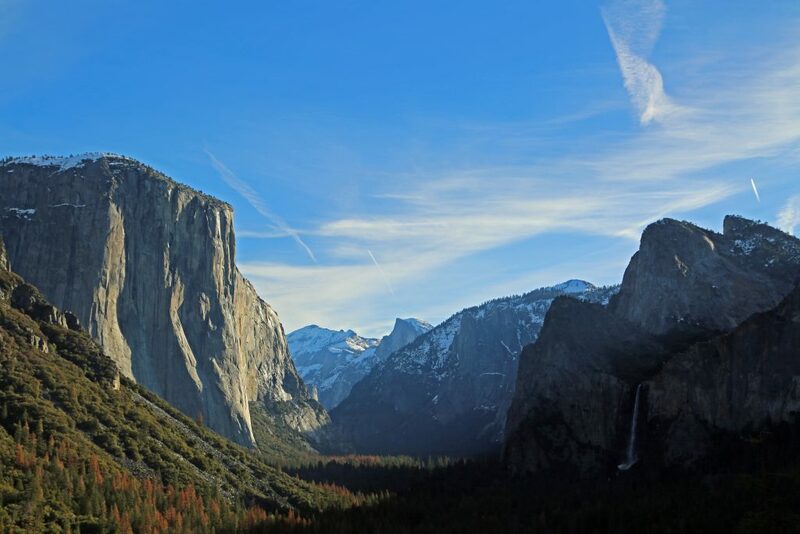 Half Dome, El Capitan ad Bridal Veil Falls will become your new standard for epic views! Pinnacles National Park is located south of the bay area. We were attracted to the National Parks 59th of 60 National Parks in search for the California Condor. We saw many varieties of birds but was unable to catch a glimpse of a Condor. We just have an excuse to come back and explore more of this beautiful park! Also, see my post on the National Park sites within the San Francisco Bay Area! There are 12 National Parks Sites in the San Francisco Bay Area! Alaska is at the top of hubby & my bucket list! Thank you for posting this! Bookmarking it for our trip to Alaska next year!